A network of hundreds of international scholars and artists. 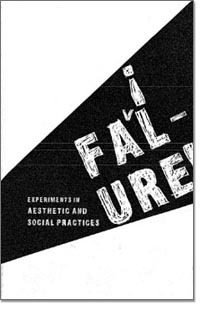 VHS Archive: A Brooklyn College graduate course and GC Center for Humanities Working Group exploring what to do with our soon-to-be-obsolete but always-beloved collections. 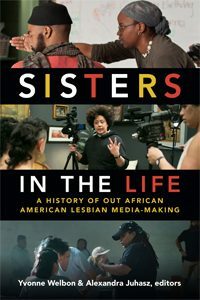 25 Years of Out African American Lesbian Mediamaking (1986–2011). Alexandra Juhasz and Yvonne Welbon, Editors, 2018. 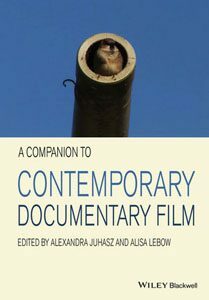 A Companion to Contemporary Documentary Film. Alexandra Juhasz and Alisa Lebow, Editors, 2015. 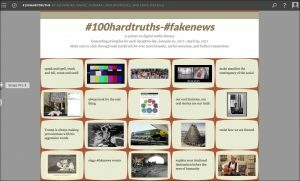 Online digital media literacy primer generating principles for each of the first 100 deceptive days of the current administration. With Alisa Lebow. 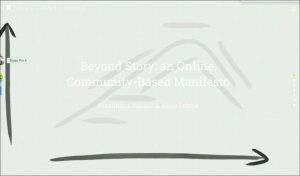 An online, community based manifesto. Not everything should be molded into a story. There are many ways to shape a documentary. A monthly film series pertaining to the Borough. 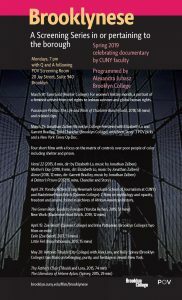 2018-2019 features documentaries by CUNY faculty. Visual AIDS Video Program, Day (With) Out Art, 2016. 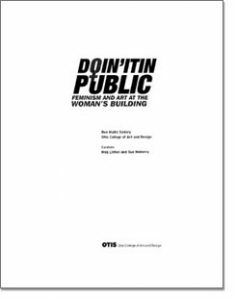 Feminism and Art at the Women’s Building, 2012. 201 West End Building, 2900 Bedford Ave. Copyright © 2019 Alexandra Juhasz. All rights reserved.